Add some variety to your annual autumn apple binge with any one of these 9 Fresh Apple Recipes for Fall! Saying goodbye to summer is never quite as tough when you have a collection of 9 Fresh Apple Recipes to look forward to. 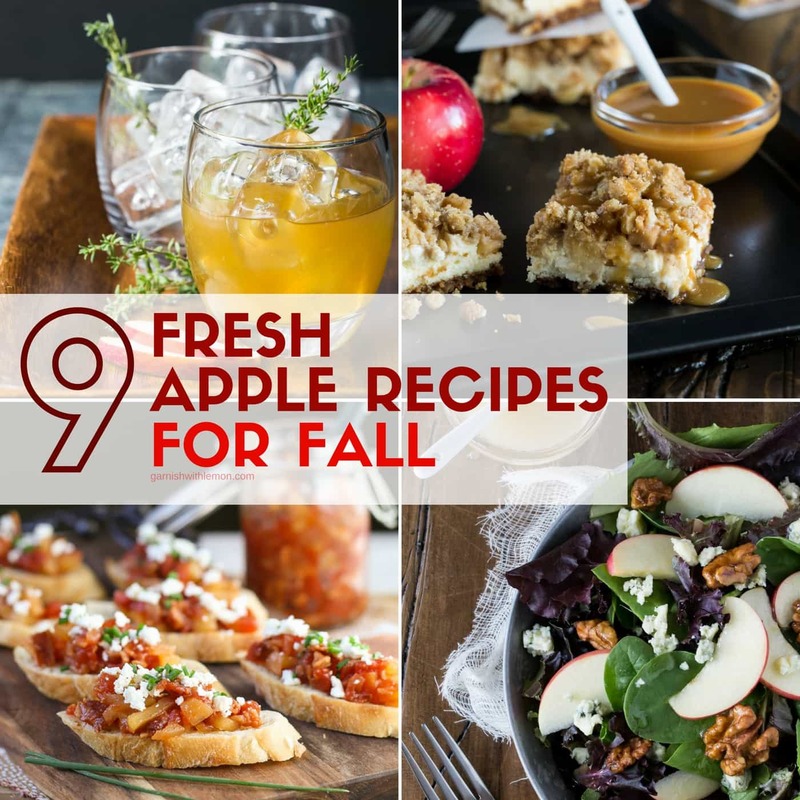 With everything from sweet breakfast treats to savory appetizers and side dishes to decadent desserts, we’re sure to have some new fresh apple recipes for you to try as you welcome the cooler nights, shorter days and brilliant colors of fall. 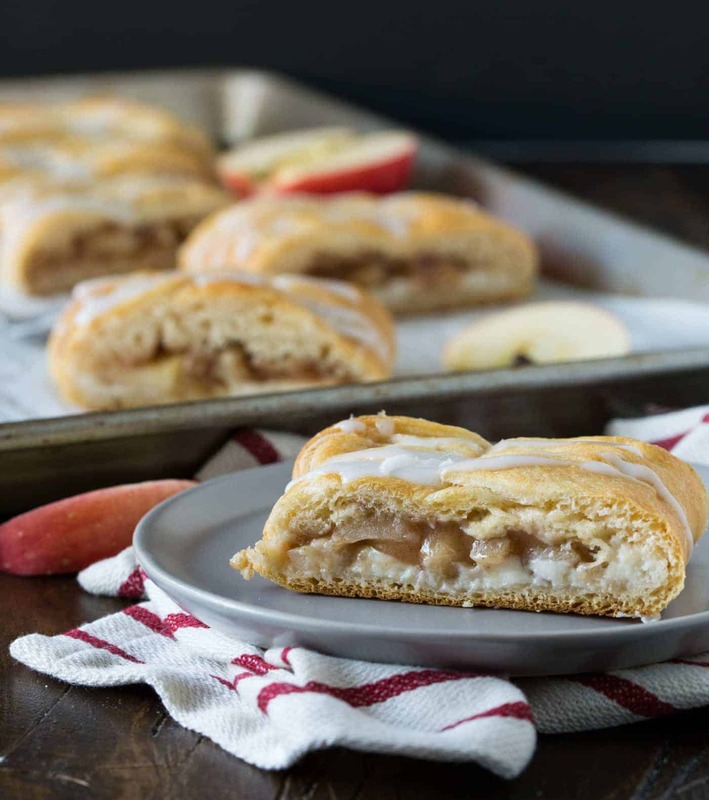 This Easy Apple Cream Cheese Danish – filled with apples, cinnamon and cream cheese – looks much fancier than it actually is. The secret? Packaged crescent dough! Need a warm, make-ahead breakfast? 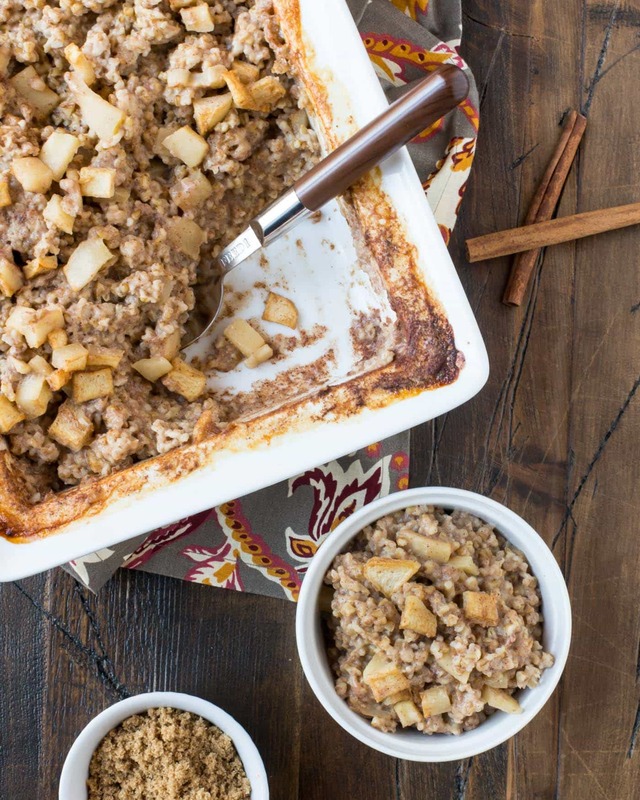 Make a batch of this hearty Baked Steel Cut Oatmeal with Apples & Cinnamon and enjoy breakfast all week long! Snacking made simple! 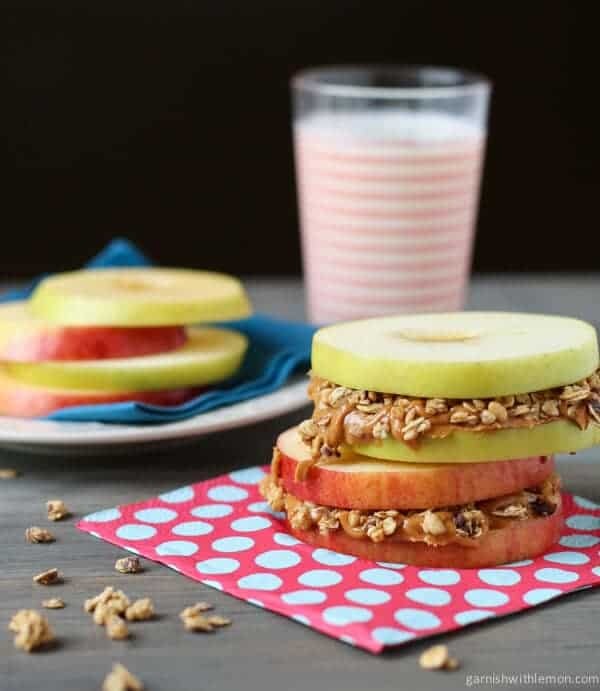 These protein-packed Apple Sandwiches with Almond Butter & Granola are a quick and easy way to keep the munchies at bay! 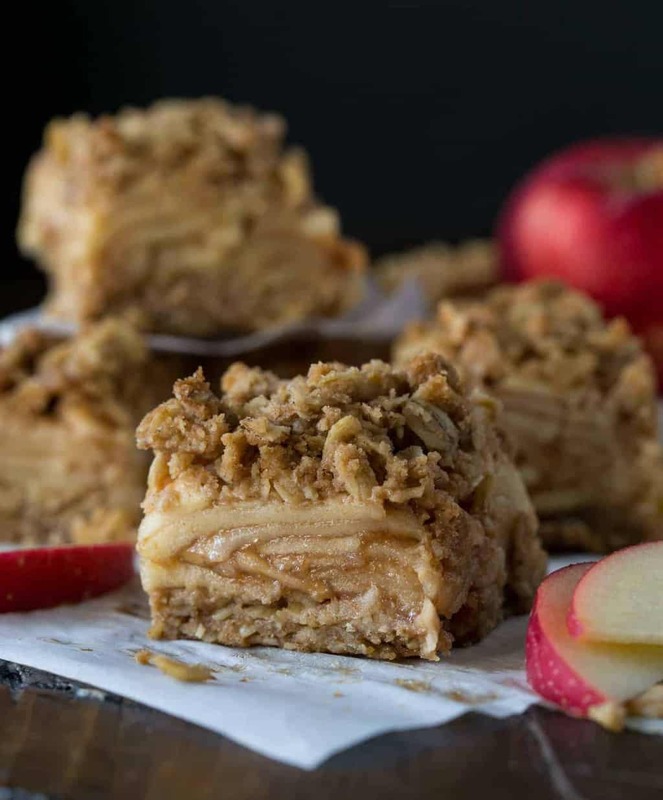 Enjoy all the flavors of one of our favorite fall desserts in portable form with these quick and simple Apple Crisp Bars. Cookie crust. Creamy cheesecake. Caramelized Apples. Crunchy streusel topping. 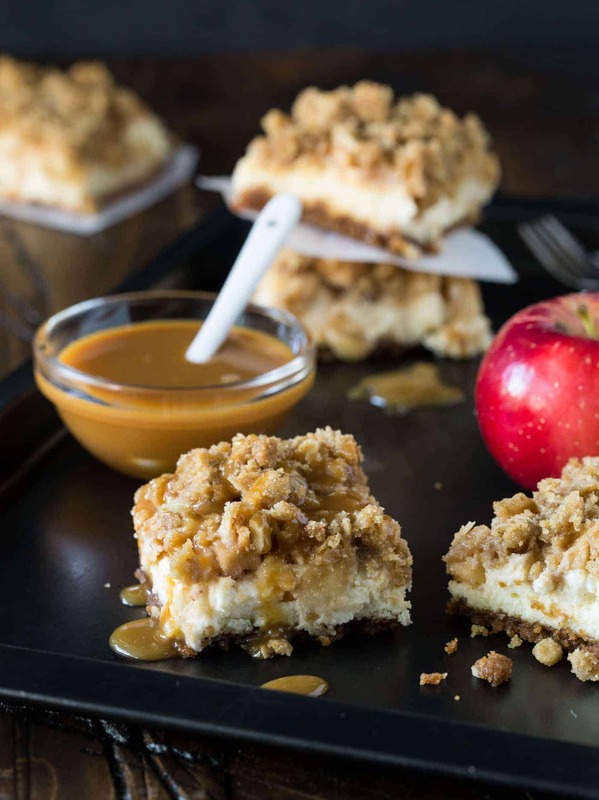 Do you really need any more encouragement to make these Caramel Apple Cheesecake Bars with Biscoff Cookie Crust? Don’t forget your greens! 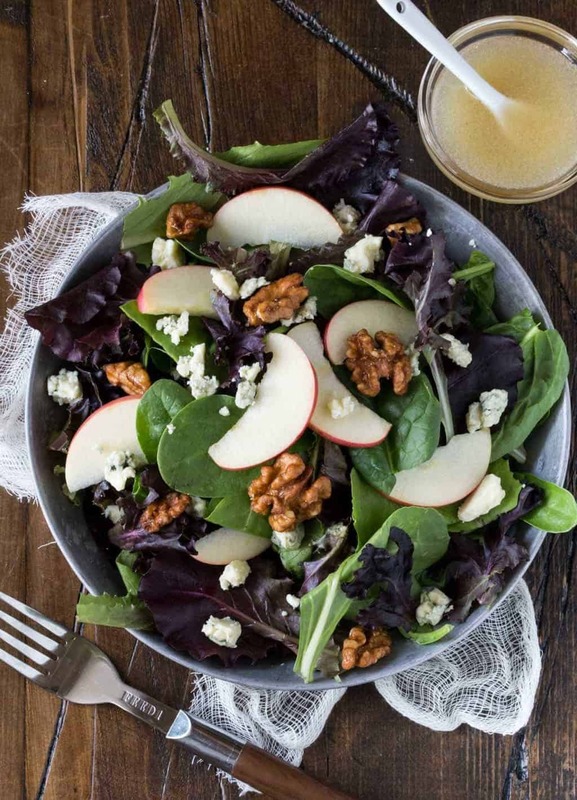 This Apple, Blue Cheese & Walnut Salad is the perfect accompaniment to any fall meal. 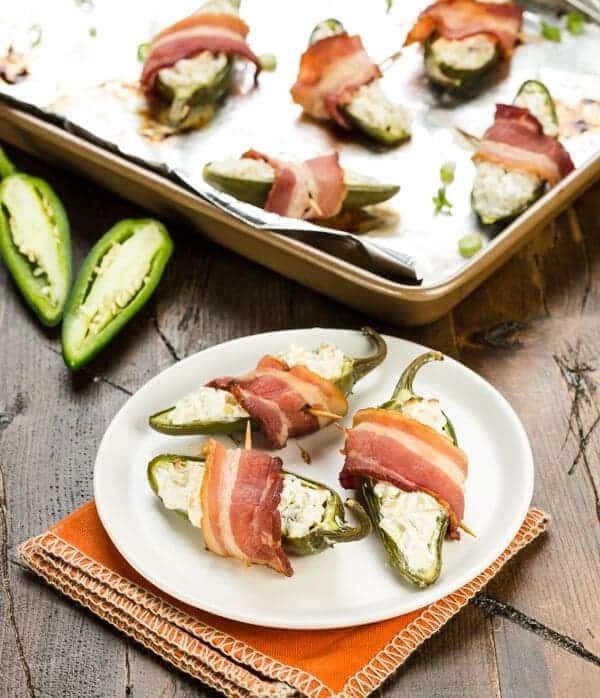 Tart apples give a new twist to a traditional party food in these Apple Bacon Jalapeño Poppers – a great appetizer for the big game! 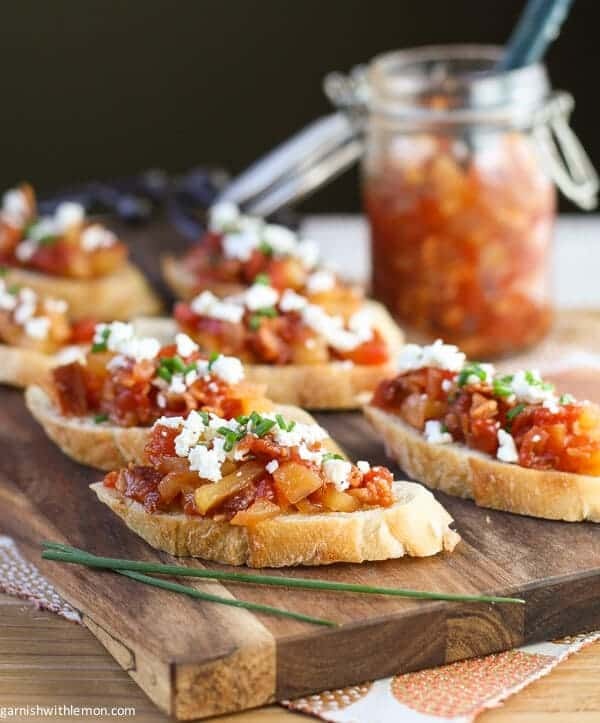 This Crostini with Savory Tomato, Bacon & Apple Jam is a fantastic fall or holiday appetizer. Make the jam ahead of time so assembly is a snap. 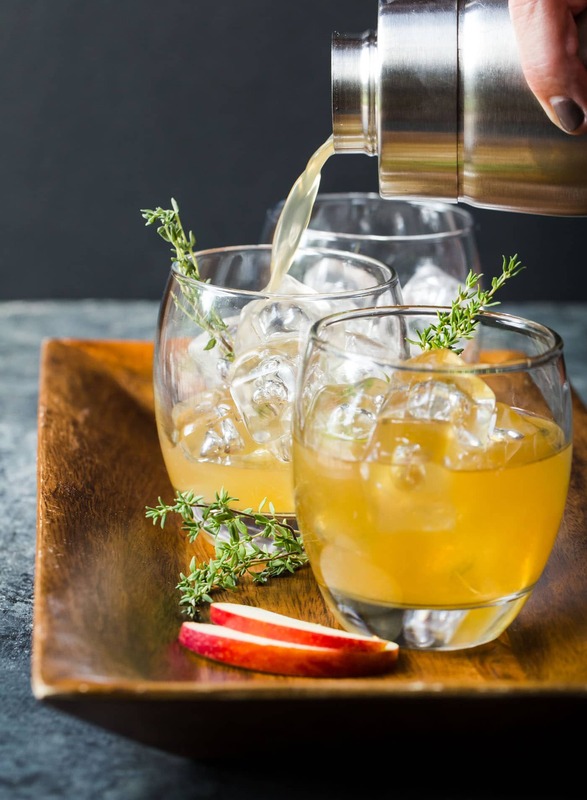 These Bourbon Apple Cider Cocktails will keep you warm and toasty this fall – perfect for everything from tailgating to Thanksgiving.